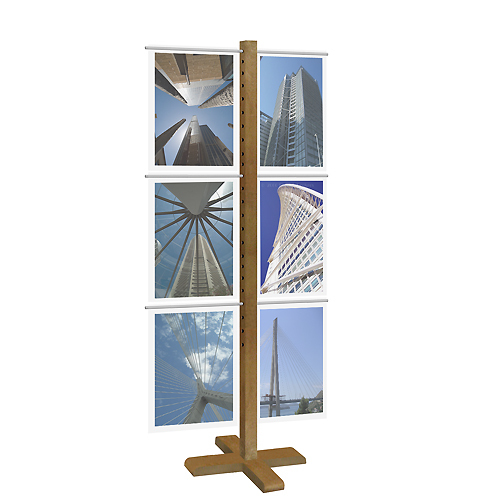 Modern designed, wooden display stand with acrylic panel displaying. Easy to assemble/disasemble. Ideal for fairs. Total height; 184cm.